Mayor Rahm Emanuel announced the formation of a six-person task force on police accountability on Tuesday. 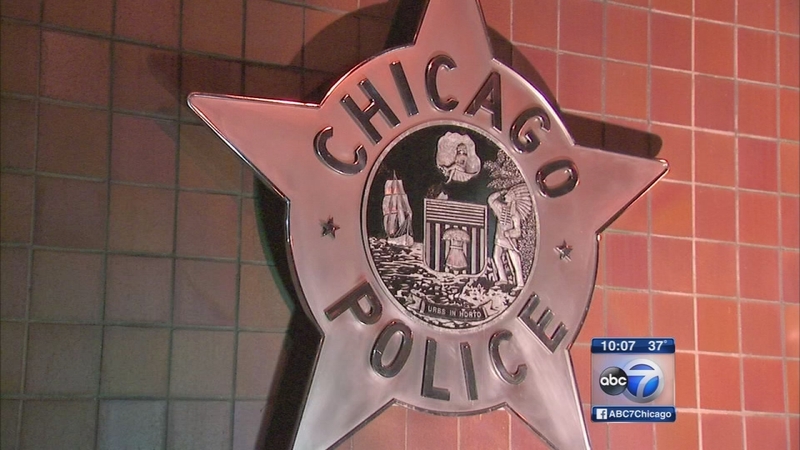 CHICAGO (WLS) -- In addition to firing Garry McCarthy as Chicago police superintendent, Mayor Rahm Emanuel announced the formation of a six-person task force on police accountability on Tuesday. The release of a video showing a Chicago police officer shooting 17-year-old Laquan McDonald 16 times exposed flaws in that case, but also possible flaws throughout the system. Now, there is a focused effort on who is policing the police. "I've asked five respected Chicagoans who are leaders in the criminal justice system to do a top-to-bottom review of the system," Mayor Emanuel said. -Lori Lightfoot, president of the police board and former federal prosecutor. "I'm confident that this task force is going to dig down deep and come up with a list of recommendations that is going to advance that really important, critical goal of trust and accountability," Lightfoot said. The task force will also include former Massachusetts Governor Deval Patrick as senior adviser. The task force's mission is to improve oversight of police misconduct, identify and address officers with problematic conduct, and recommend standards for releasing video of police-involved incidents. "What we are going to be looking at is a policy that addresses various circumstances in which video tape evidence becomes a critical part of an investigation," Lightfoot said. "Just like we looked at patterns when we address crime, it's indefensible not to look at patterns of misconduct when we're investigating abuse," said Craig Futterman, a law professor at University of Chicago who studies police conduct. Futterman says he impressed by the individuals appointed to the task force. "I think we're at a political moment where this isn't just a one-time crisis, but that, there are a lot of people who are watching and it's up to us to continue to watch over time - not to turn away with the next headline hits," Futterman said. The task force has been asked to give its recommendations to the mayor by March 31, 2016. "We need a new makeover now," said Charles Brown, a retired CPD officer and long-time Englewood resident, who comes from the two worlds the mayor is trying to bridge. "He needs to get a task force from the community, from the people that are living in the community that know what's going on," Brown said. "These are Rahm Emanuel's people. These are his appointees. This is an insider's job, and a lot of people are going to be very suspicious about this," said Laura Washington, ABC7 political analyst. Likely to come will be an announcement of a nationwide search for McCarthy's successor. But names already being whispered include interim superintendent John Escalante and recently-retired first deputy superintendent Al Wysinger. But many think the mayor will seek an outsider, likely a minority. Soon-to-retire Philadelphia Police Chief Charles Ramsey has been a candidate in previous searches. The challenges are monumental for whoever gets the job. "You're responsible for 10,000 men with a gun," said Joseph Roddy, an attorney. "There's no way any human being can control 10,000 men with guns. It's impossible." Task Force member Lori Lightfoot says the panel plans to reach out and get the community's input on how to affect change but did not say whether public hearings might be part of that effort.